To enquire or commission a painting of a pet, person, wildlife or scene, please contact the artist. To view more artwork, please visit the gallery. approx. 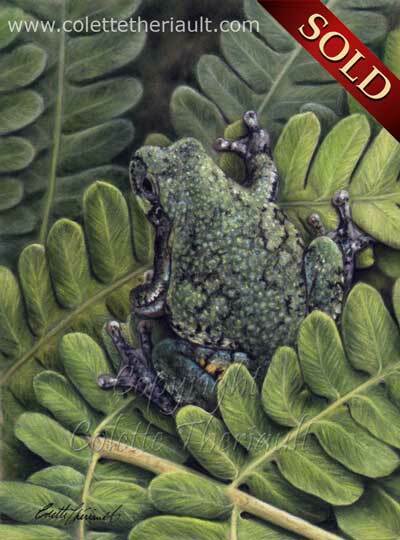 size: 5" x 7"
The gray tree frog is Ontario's largest native tree frog. He can change color from green to gray, depending on his surroundings.